Starbucks has launched a premium coffee brand that is made from rare beans, which will be theatrically served to consumers by specially trained baristas. Starbucks Reserve is made from single origin coffee beans. It has been created to tap into consumers' growing interest in rare and distinctive coffee, and is for drinkers who are accustomed to fine food and wines. 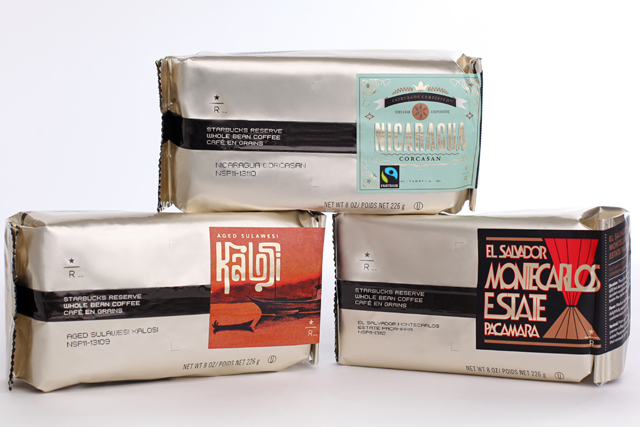 The three single-origin coffees – Aged Sulawesi Kalosi from Indonesia, Fairtrade Certified Nicaraguan Corcasan and El Salvador Pacamara Montecarlos Estate – will be available from March in a select number of stores. Each cup of Starbucks Reserve is made by hand using the "pour over" method – beans are ground to order for each cup and poured through a single filter in front of the customer. Starbucks Reserve baristas have been specially selected for their coffee expertise and are taught about the background and story of each product, which they can pass on to customers. Darcy Willson-Rymer, Starbucks UK managing director, said: "Our buyers occasionally discover exceptional coffees that are only available in limited quantities. Starbucks Reserve allows us to share these unique flavours that really showcase the expertise of our coffee farmers." Due to the rarity of the beans, different coffees will appear seasonally at specific times of the year. Once the beans' limited supply runs out and the harvest has gone, there will be no further availability. Starbucks Reserve will also be available pre-packed from the coffee chain's stores for customers to prepare at home.